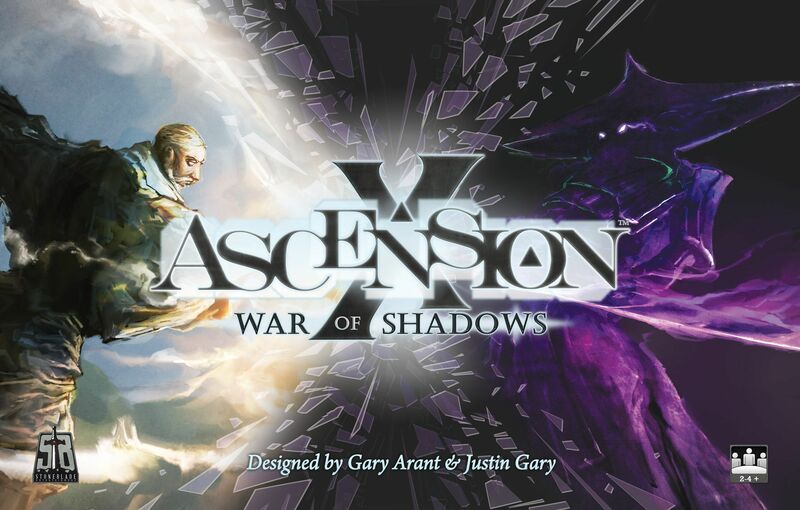 The theme for Ascension X: War of Shadows, the tenth set in this game series, is the on-going conflict between Light and Dark forces for control of New Vigil. This conflict plays a direct role in the game as the balance between the two forces can give players additional powers during Night and Day. A new category of Heroes and Constructs are also introduced, and these powerful dual-cost cards require players to spend both types of game resources to purchase them.